A fast growing medical billing company in Houston, TX. We had to use a new software namely Kareo for carrying out the operations. We got cross-trained over phone on the practice management software. The client had mentioned in advance that we will have to handle heavy workload often and complete it within 24 hours. Quickly ramped up the team with short notice. Having got satisfied with our services, the client has shifted the payment posting work to us recently. 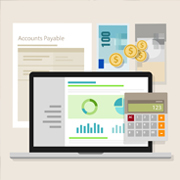 The client is also looking to outsource the Accounts Receivables Management to us in near future.